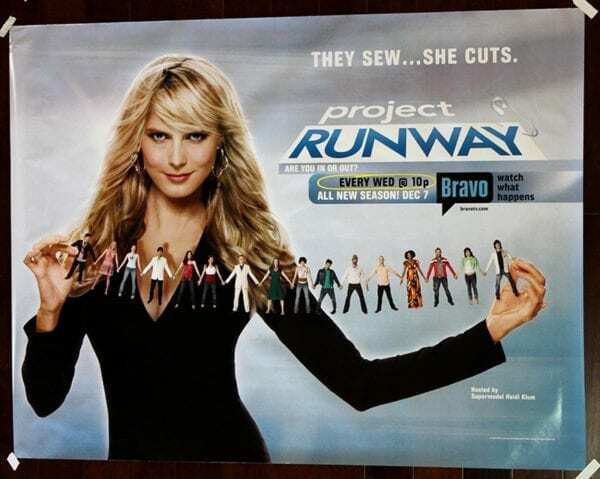 Project Runway is an American reality television series that focuses on fashion design. The contestants compete with each other to create the best clothes and are restricted by time, materials and theme. Their designs are judged by a panel, and one or more designers are typically eliminated from the show each week. YOU ONLY LIVE TWICE - ORIGINAL 1967 SUBWAY POSTER - COOL JAMES BOND ART! YOU ONLY LIVE TWICE – ORIGINAL 1967 SUBWAY POSTER – COOL JAMES BOND ART!